In our quest to find the best wireless doorbell, we are performing a large number of wireless doorbell reviews, and here we are going to review the Honeywell 5 Series wireless doorbell! Honeywell has bought some serious wireless doorbells to the table and it is high time we took a look at the RDWL515A2000. You will need 3 AA Alkaline Batteries for the receiver. The working range for the Honeywell 5 Series is 350 feet, which is around 106 meters. This distance is out in the open and free of any objects. Keep this in mind because the more objects between the push button and the chime, the lower the actual working range will be. Remember, there are various objects that can interfere with any wireless communication such as; walls, doors, electrical items, cables, and pipe-work! It is a battle to keep these wireless devices working, but this wireless doorbell has a powerful transmitter. The transmission is completed on the following frequency: 916.8 MHz. The Honeywell 5 Series has 6 different chimes that you can use, which is very low when compared with the Coolqiya wireless doorbell, for instance. I must admit, I certainly will not be using that many but it is good to have a few to choose from. In terms of volume, you can expect the wireless doorbell receiver to reach 84dB, which is loud enough, but not the loudest wireless doorbell! The Honeywell 5 Series push button has passed the UL1598 Rain Test, which means you will not get any issues when hosting the transmitter outside, which is a good thing, considering that is where they go! If you live in a cold climate and need a wireless doorbell, the Honeywell 5 Series is a great choice too! The working temperature range is -4°F to 122°F (-20ºC to 50ºC), which I am sure will cover even the harshest temperature range! 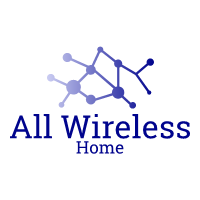 Installation is easy for wireless doorbells. As you probably already know, the wireless doorbell receiver is totally portable, so there is no need to plug it in. Press and hold the Setting button on the doorbell for three seconds. The halo light will circle. Within 12 seconds of pressing the push button, press the Music button to select the ring for that push button. You can set up a Secret Knock that makes a different ring and halo light color for each push button. The Secret Knock is triggered by pressing the push button quickly 3 times. Press the push button 3 times quickly. Within 12 seconds of pressing the push button, press the Music button to select the ring for the Secret Knock. Within 12 seconds of pressing the push button, press the Sunlight button to select a halo light color for the Secret Knock. Press and hold the Setting button on the doorbell for three seconds. The halo light will circle. Within 20 seconds of pressing the Setting button, wave or make some other kind of motion in front of the motion sensor. Press and hold the Setting button, and replace the battery at the same time. The halo light will circle, and the doorbell is returned to its factory default settings. The Honeywell 5 Series comes with a 1-year warranty. As part of our regular wireless doorbell reviews, we took a look at the Honeywell 5 Series and realized that due to the fantastic illumination, it is a good wireless doorbell option if you are deaf or hard of hearing. 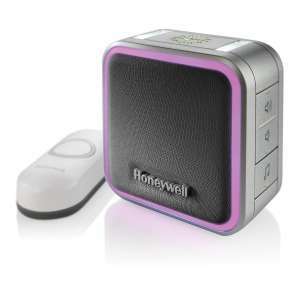 Having said that, the Honeywell 5 Series IS a good, portable wireless doorbell. All in all, the Honeywell 5 Series is a great looking wireless doorbell. Further reading includes our page that identifies the best wireless doorbells. Previous articleLooking For A Doorbell That Works With Alexa? The Honeywell RDWL515A2000 certainly has some highlights, and we are not just talking about the light show on offer! This is a great wireless doorbell if you have small children (keep it out of reach), or you are deaf/hard of hearing, or you simply need a portable wireless doorbell. There are better options if you need a long range wireless doorbell though.